The folks over at DAPP.com are looking for some Steem Monsters players to attend this event! Come to share your thoughts and experience playing our game! Join us to talk about blockchain games and dapps - Here is what you will get from the largest gathering meetup for blockchain gamers. • Blockchain gaming in 2019 and upcoming new games! 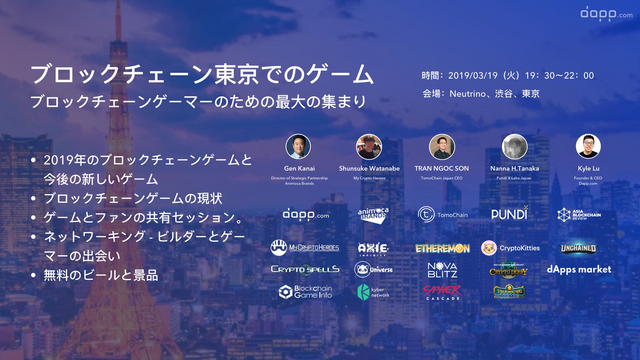 • The state of blockchain games. • Games and fans sharing session. • Networking - Meet the builder and gamers! • Free beer and giveaways! 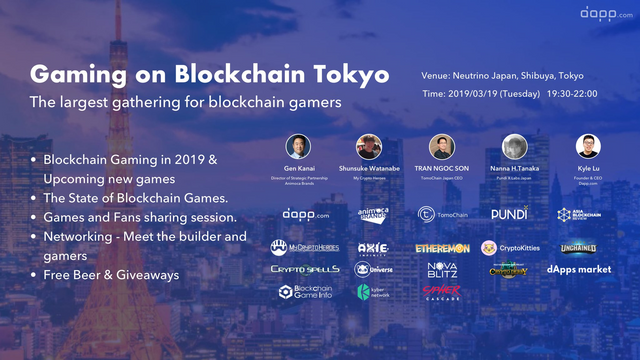 • 20:30 - 21:30: Games and Fans Session: Game developer & fans sharing from Axie Infinity, Ethereumon, Blockchain Cuties, CryptoSpells, CryptoDerby, Cipher Cascade, and more! Let us know if you're going to attend! If the event were in Korea, we could have had lots of steemmonster players there - sad. Feel free to organize a meet up! Just got back from Japan a couple weeks ago otherwise I would have gone to this. It would be awesome to have a "live-stream Steemmonsters Tournament" going on for that event. And @aggroed or @yabapmatt could do a "live-Broadcasting" explaining and demonstrating Steemmonsters. Unfortunately I don't know anybody that could attend...hopefully we will find someone soon! You just got a 0.61% upvote from SteemPlus!